An all weekend long challenge-driven hackathon where you can develop and share your own ideas based on current industry projects. Are you a full-stack developer or just at the beginning? You want to test how you can work under pressure or with a tight deadline? 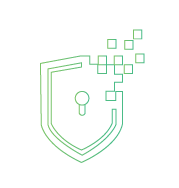 Then MegaHack is the right place for you. Here, you can try new things and test new solutions - based on, you guessed, real challenges, offered by real companies. Your effort will not go unnoticed. Gather your team and develop solutions to the challenges we bring, try out the exhibiting demos and chat with fellow programmers! Any european students or professionals, being at least 18 years old. How well did the team tackle the challenge? Is it practical enough to be used after the event? Does the solution work? Did the team achieve everything they wanted? Did the team put thought into the user experience? How well designed is the interface? How good is the human-computer interaction with the project? How technically impressive was the hack? Was the technical problem the team tackled difficult?